Topping the Enduro 1 class standings on the opening day of competition in Lake Paijanne, Outsiders Yamaha Official Enduro Team rider Jamie McCanney has enjoyed a victorious start to his 2018 FIM Enduro World Championship season. With the championship opening GP taking place under extreme winter conditions, the WR250F powered rider wrapped up a highly positive weekend claiming fifth on the second day of racing in Finland. 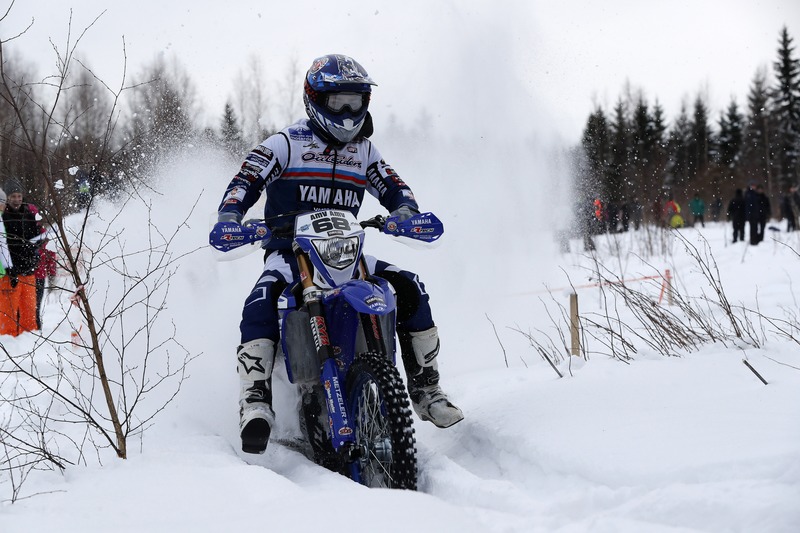 With the season opening GP being an all-snow affair, Jamie McCanney and his Outsiders Yamaha team battled against sub-zero temperatures throughout the weekend in Finland. Making a steady start to the first day of racing, the Manxman increased his speed as the event progressed. Getting the 250cc class victory at the end of a long and demanding first day of competition, which included a number of night-time special stages, Jamie made the perfect start to the long 2018 season that lies ahead. Feeling the effects of an exhausting 12-hour opening day, Jamie opted for a risk-free ride on the second day of racing in Finland. Avoiding costly mistakes, Yamaha’s official representative in the Enduro 1 class secured a sold fifth place result to wrap up a tough weekend of racing on a high note. Jamie McCanney and the Outsiders Yamaha Official Enduro Team return to action in Santiago de Compostela, Spain for round two of the 2018 Enduro World Championship on April 27/29.